Stunning style “Scarlett” by Hair World. 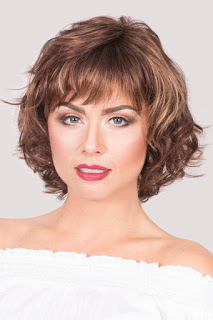 The Scarlett wig from Wigs4u is available for IMMEDIATE DELIVERY. Scarlett is a stunning style with relaxed waves and lots of styling options. 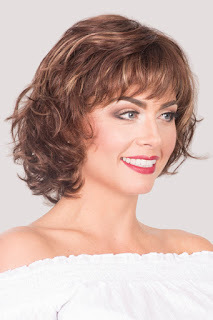 Scarlett has a monofilament parting and loosely curled layers that may be scrunched and enhanced using our styling defining spritz. The monofilament parting gives the illusion of hair growing from the scalp and the fringe sits gently over the eyes and may be swept over to the side. The side layers can be worn either flipped behind the ears or left to fall onto the face.